an unexpected pairing of chocolate and design. 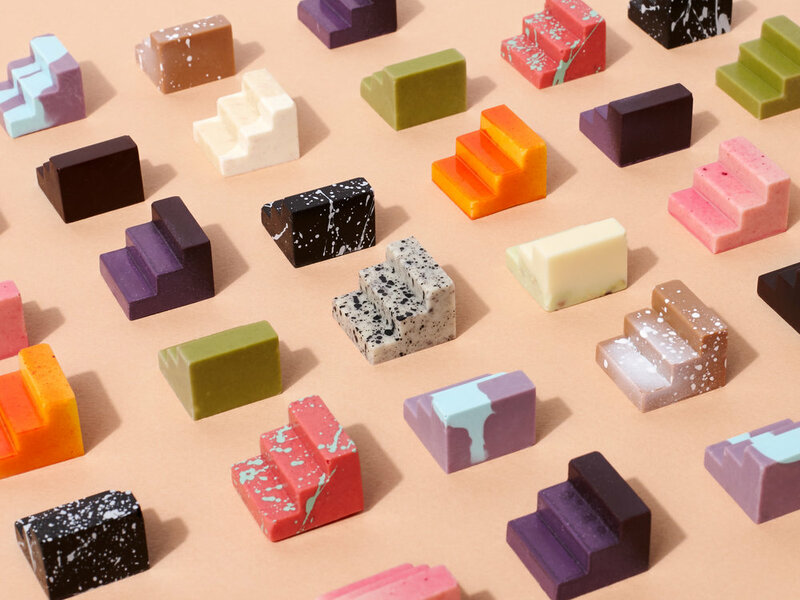 Complements are modular artisan chocolates that form unique combinations of flavour and colour. They are handmade, using Belgian couverture, Australian grown nuts, fruits from the New Zealand alps, and the humble cookie. Stock is limited. Be one of the lucky few. A box set of 12 individually flavoured chocolates. Black sesame; blackberry; cookies & cream; lavender; lychee & coconut; mango; matcha; pistachio; raspberry; salted caramel; single origin dark; strawberry. Complements is now available Australia-wide. International orders coming soon! Note: We take great care in how Complements are packed and shipped, but please make sure that you provide a delivery address where the chocolates won't be left out in the heat. Melted chocolate does taste great, but it don't look so flash.